From birds to mammals, the lighting is very important for a good photograph. Light in the eyes gives a depth to the eyes, and attracts the viewer. It is said that the eyes are the windows to the soul, and it is one of the first places we look in a photograph. The best lighting has the sunlight on the side of the subject or behind the photographer. Light behind the subject requires adding light via reflector or flash. Natural light on the subject gives it shape, and gives dimension to the photograph. 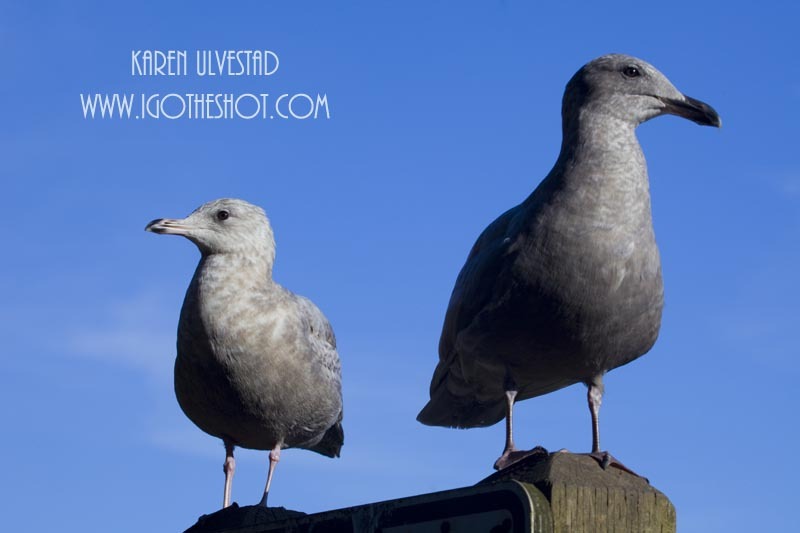 In the photograph with the gulls, the light reflects in the eyes of the gulls. The shadows on their bodies give the birds shape. On sunny days, it is easy to get this effect. On overcast days, the shadows and highlights become subtle. 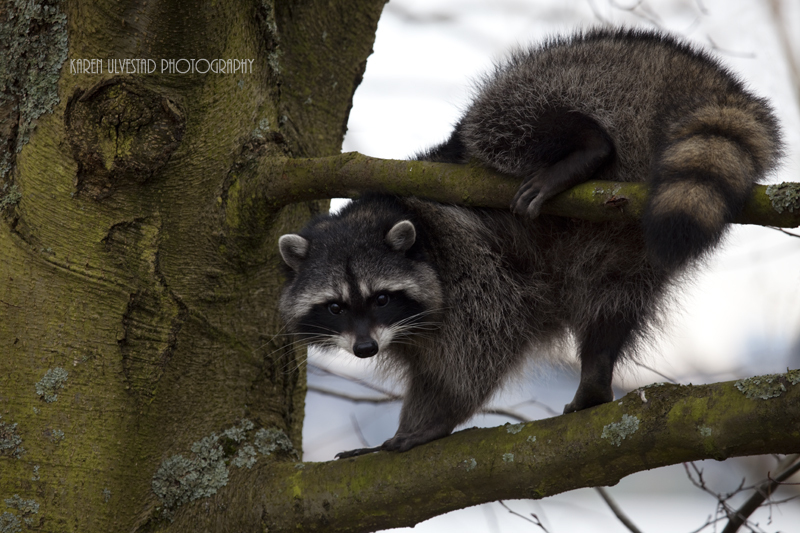 Contrast is less, and the scene in front of the camera becomes flatter, as shown in the photograph of the racoon. This photograph lacks the dark shadows and the bright highlights. The sky washes-out to white and light gray. In both these situations, a polarizer filter will cut the glare off of surfaces, and bring more color into the photograph.